Delivering 5 Star Restaurant Quality Right To Your Door! Gourmet South Started in September of 2002 with the intentions of opening a gourmet meat market. 14 years later we did just that on May 28th 2016 Gourmet South Meat Market was born. We are very proud of our last three year track record and reviews on our first retail store located across from Baxter Village, Fort Mill South Carolina. 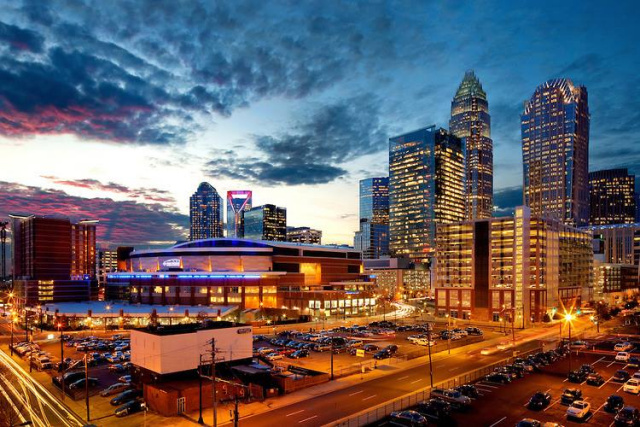 Only minutes from Charlotte, the Queen City of North Carolina. In our store, you can now purchase exactly what you need, even if it's one 6oz filet mignon, we have it fresh, never frozen! Our Meat Market has a wide variety of Fresh Organic & all natural grass fed beef, All natural bacon's, cheeses, fresh burgers, fresh all natural Black Angus uncured beef franks, Italian sausages, all natural brats, Organic marinates & dressings. We also have fresh imported Japanese A5 Wagyu Beef, Fresh Midwestern dry aged prime beef, poultry, lamb, veal, Duroc & Kurobuta Pork, as well as "FRESH", never frozen seafood delivered 6 days a week!! We Also have Imported Italian Pasta's, hard Salami's, dry rubs, barbeque sauces, and much much more! Our Seafood is "Fresh" Wild Caught & Delivered Daily! 6 Days a Week! We have wild caught Chilean Sea Bass, Alaskan Halibut, Alaskan King & Sockeye Salmon, Blue-fin Tuna, Butterflied Carolina Mountain Trout, skin on, just to mention a few of or many seafood selections. If we do not have it in stock, we will the following day, except Sunday. Simply let us know what you need any day of the week before we close, and we will have it ready for you the next morning! Our products will last in your fridge "Fresh" Much Longer Than Your Conventional Supermarket, Butcher, or Seafood Market. Every single item in our store comes to us fresh, never frozen, portioned to any size we order as well as each piece is individually vacuumed sealed for extended shelf life as well as no contamination & no bacteria which equals a much safer & cleaner food handling process. Our Fresh Beef Is Guaranteed Fresh In Your Fridge For Two Weeks! Since it's never been frozen, if you do not use the beef within the two week period, simply freeze it and its shelf life at that point is one year in the freezer! Our Seafood comes in 6 days a week and has a 7 day shelf life in the fridge as well as our fresh poultry which has a 7 - 10 day shelf life. If you don't use it within that time, freeze it, it will be good for up to one year! Come See Us, We Are Open 7 Days a Week! See what's in our retail meat market by clicking here. Come See Why Everyone Is Talking About Us! Read Our Facebook Reviews & Visitors Posts, Visit Us On Facebook!! Also We Post Daily & Weekly Specials! Gourmet South offers only the highest quality gourmet food products on the globe, as well as our outstanding customer service and fast next day delivery service. We are your one stop gourmet food shop. Our products are delivered fresh upon request and are available daily at our new Gourmet South Meat Market! With over 4 decades of experience in the gourmet food industry, Gourmet South has built an incredible client base delivering to fine restaurants, country clubs, inns, caterers, and residential homes throughout the Carolina's & Georgia . We offer our products shipped directly to you, in a reusable cooler with enough dry ice to keep your items frozen upon arrival via Fed-Ex,or UPS, 2nd day air or Overnight if requested. Our Mission is to deliver only the highest quality gourmet foods available in the marketplace. If for any reason you aren't thrilled with our items, we will gladly replace or exchange the item for you. Enjoy your order, and please let us know what you think.